She railed against $7 croissants at LaGuardia and how that somehow relates to her equally temper-tantrum demand for a $15 minimum wage. -Ahem- …someone should tell OAC that the minimum wage at LaGuardia is already $19. By that line of logic OAC is demanding LaGuardia LOWER its current minimum wage because her croissant cost $7. HUH? Recently sworn-in Rep. Alexandria Ocasio-Cortez called for a $15 minimum wage at a New York City airport Monday; bizarrely complaining about the price of a croissant while seemingly unaware the minimum wage at the transportation hub is actually $19 an hour. The Congresswoman is apparently unaware the minimum wage for New York airport workers was raised to $19 in September 2018. “On Thursday, the campaign ended in victory for as many as 40,000 airport workers who are now on a path to earning at least $19 an hour, the highest minimum wage target set by any public agency in the country,” reported the New York Times. “It will go well beyond the $15 minimum hourly wage that several cities have enacted and that New York State will adopt as the base wage for many workers at the end of the year,” adds the article. The minimum wage at LaGuardia Airport is not $15 per hour, it’s $19 per hour. 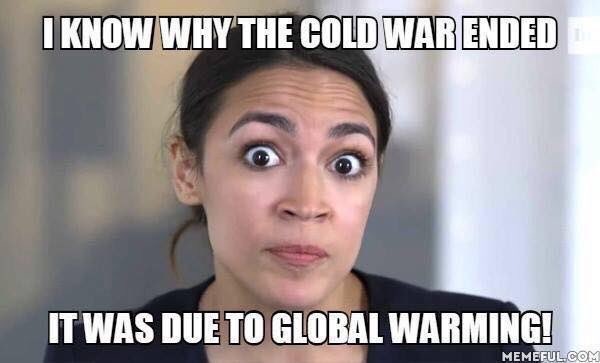 The above reveals yet again the absence of real world knowledge that plagues overtly political figures like Alexandria Ocasio-Cortez who is stuck regurgitating the brainless bumper-sticker themes of a liberal college experience. No facts, appeals to emotion, and a hissy fit when you don’t get your way.